I know you are not supposed to compare movie remakes and you really should not compare them to the book but I simply can’t help it. You see I saw the Robert Redford and Mia Farrow version before I ever read the book. I was a kid and I saw it on TV. I fell in love with the romance of the period and beauty and sadness of the story. My favorite character was Jordan Baker (Played by Lois Chiles), she was a down to earth professional woman who was open about her life and sexuality. She was a true flapper but she was also a professional athlete and she lived by a moral code that most of the people in the show did not. In fact I felt that Nick, Jordan and of course Gatsby were the only likable people in the story. Still I felt very attracted to the era and the excitement. I had an affection for Nick and Jordan. I had a great sympathy for Gatsby so I had to read the book and found it was even better than the movie (of course). I fell in love with F. Scott Fitzgerald and read every book he had written. He wrote so beautifully. The next time I saw the movie I saw all the flaws and what was missing but I still loved it. 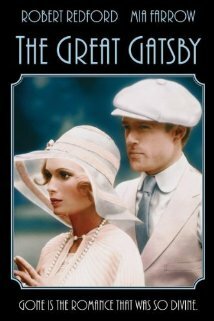 The next movie of The Great Gatsby was with Toby Stephens and Mira Sorvino, it was tv movie in 2000. I think of all the films still it is the one that truly honors F. Scott Fitzgerald. It didn’t always stay close to the plot but it had a great rhythm wonderful actors and a perfect look for the twenties. It was a truly beautiful film. Onto the latest movie. I liked all the actors in the movie so I came to it with an open heart. I had no real issue with modern music in the film and I thought sets and costumes amazing and beautiful. I thought Leonardo DiCaprio as Gatsby and Tobey Maguire as Nick did a wonderful job. They were right on with their characters. What disappointed me was how the women seemed to find it necessary to pose all the time. I know that is how it seems in the silent movies but women haven’t changed since the ’20s, women are real people. Posing in private moments in a home with family and friends seemed to pull me right out of the movie. I do like Carey Mulligan a lot, I have seen her in many parts and she is always honest in her portrayals. The first time I saw her in Pride and Prejudice as well as the BBC version of Northanger Abbey. She is a fine actress but in this film she seemed to be really stiff and all her natural acting ability seemed to be stifled. And my favorite character; Jordan Baker was my biggest disappointment. She was stiff and not real at all. You just can’t see why Nick would be attracted to her. It was truly sad to me. I don’t know if it was the actress’ idea to pose like that or the directors but it was not a good one. I also don’t like how they used trick photography to illustrated the monologue that Nick had at Myrtle’s apartment in the city. Fitzgerald painted his words you did not need to graphically see everything in front of you to understand what is being clearly and beautifully said in the dialog. Sad. The part that was truly orignal was Nick speaking to a therapist while drying out in a sanatorium. And it is this doctors idea that he should get it out of his system by writing it down. Even though it was not in the book I liked it. It really felt like the time, it was nice to give him a visual way of narrating it. That was a brilliant innovation on the part of the screenwriter.